It´s a golf tour with wine. Bordeaux offers the best of all worlds, wine, golf and food. What could be better than sharing a bottle of Cru Classé or Crémant with friends after a round of golf on one of 22 courses within minutes of Bordeaux. Where will you find great golf courses, Grand Crus, famous châteaux and ocean beaches within an easy drive of each other? 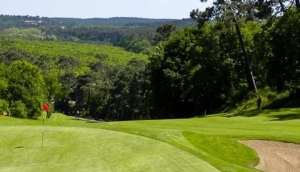 The Médoc, Graves, Sauterne, and Entre-Deux-Mers regions are perfectly set for combining golf, spa and wine tours. Whether you´re looking for 36 holes of challenge or a smaller more relaxing course, we have it.